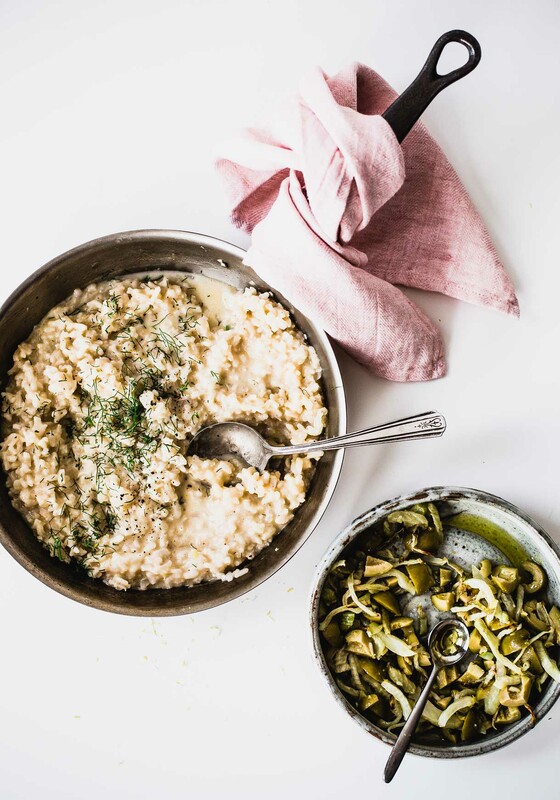 This easier risotto recipe is sponsored by Olives from Spain, a partner of Heartbeet Kitchen. Even for someone who considers the kitchen their favorite place, when I hear the word “risotto” I think “fussy”. My attempts in the past had proven to be marginal at best, with a tendency to overcook and end up with mushy rice that could only be saved by turning them it into risotto balls. I resolved to try again, and find a foolproof method for making great risotto without a lot of stirring, or thinking. I stumbled upon an article from Cooks Illustrated that employed a different technique that I’ve now played around with for a week, and tweaked to my liking. And in the meantime, I’ve also created a roasted fennel and spanish olive relish to top it with that hits all the right notes. So, here are the secrets! This method is based on lots of liquid added near the beginning of the cooking time, instead of little bits throughout. This agitates the rice grains much like stirring, accelerating the release of creamy starch. A lid is used on your pan as well, to distribute the heat evenly. The heat is set to a low simmer, to avoid scorching the rice at the bottom, and allow the grains to absorb the liquid slowly. No wine. And just a little bit of stock. But mostly water. That’s right, untraditional I know. But I feel like both of these concentrate while cooking, and compete too much with the natural flavors of the rice and toppings. 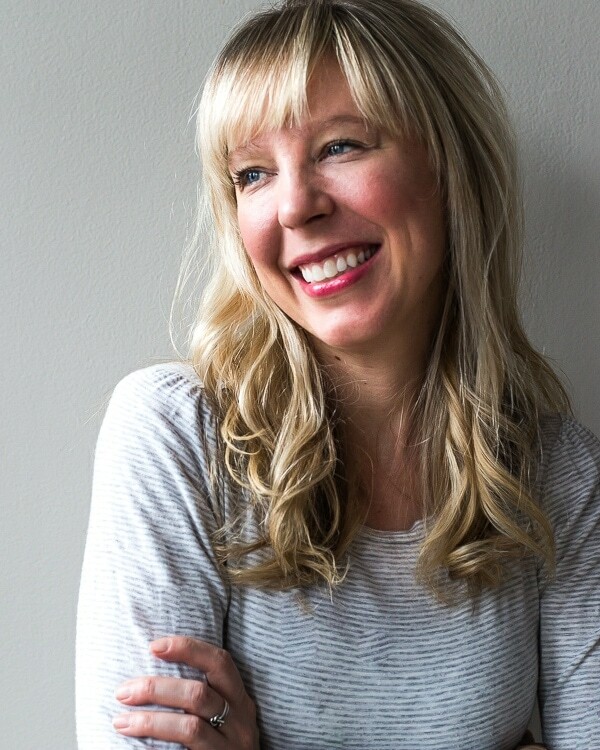 Food 52 agrees. When you take the cover off, the risotto will seem like it has too much liquid. But a five minute rest with a few stirs is just what it needs to thicken, without becoming mushy. Instead, I like to make it almost like polenta, adding cream, butter, and cheese at the end to for an extra creamy and flavorful result. 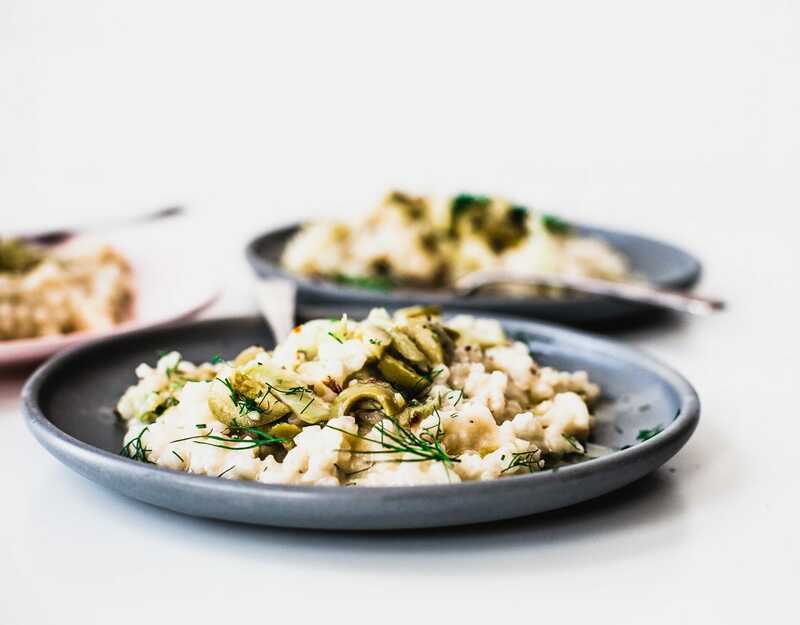 While the risotto is cooking, you can make the roasted fennel and olive relish (because you won’t be standing over the stove stirring!). 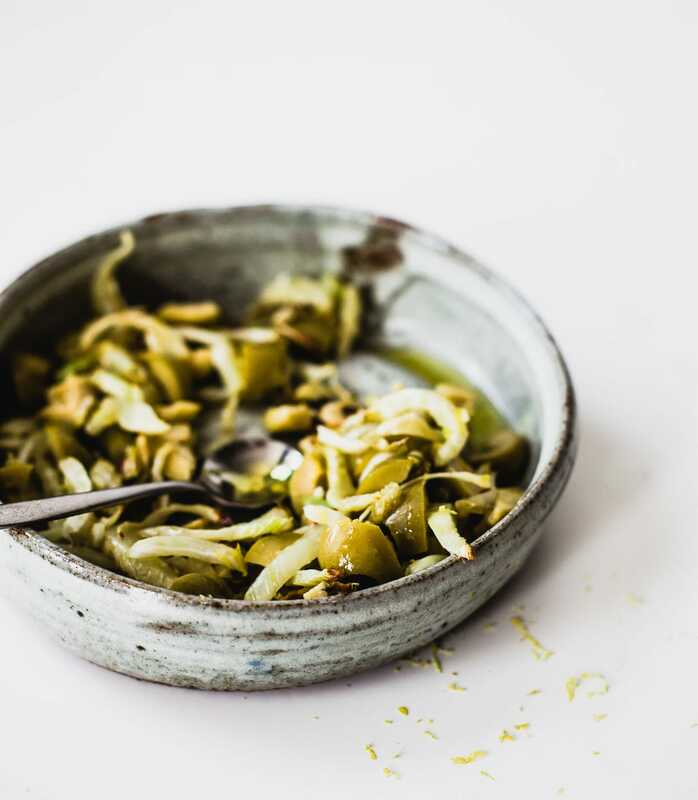 When roasted, fennel caramelizes into mild, sweet, vegetable nirvana. 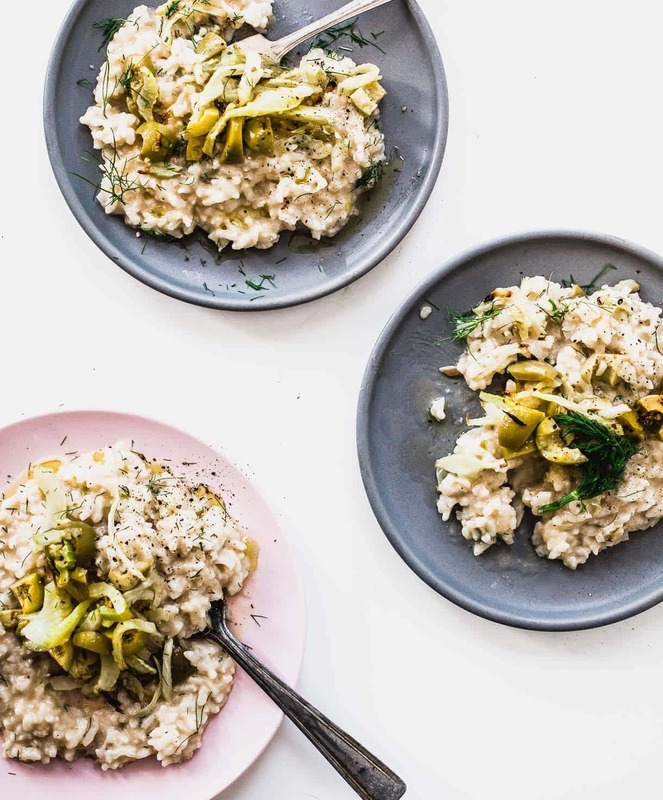 Tossing the olives and fennel with garlic, olive oil, and lemon zest creates the punchy relish that turns the risotto into something special. 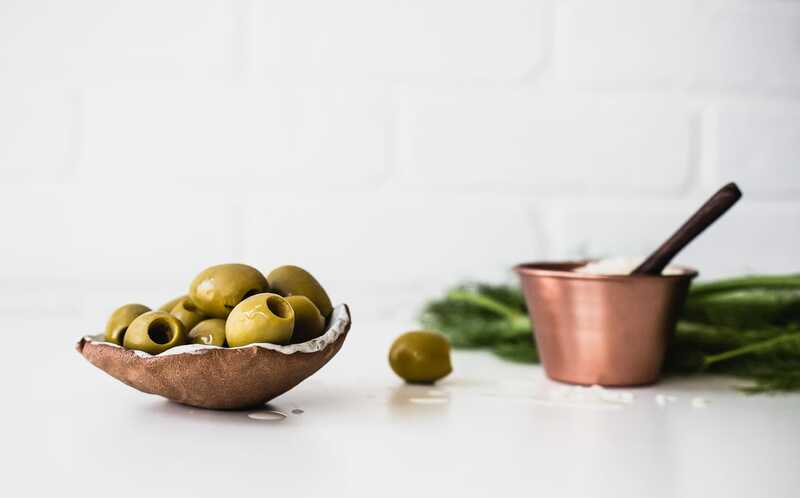 For this recipe, and much of my day to day cooking, I use spanish queen olives (although Spain grows over 300 varieties!) because they’re brine-cured, with a crisp texture and smooth flesh, with a slightly smoky, almond-y flavor. You might be used to seeing them stuffed with pimentos, garlic, or bleu cheese, but they are fantastic as is, adding umami to so many dishes. In a medium dutch oven (preferred) or deep skillet (that has a lid), heat olive oil over medium heat. Add onion and stir, cooking 5 minutes, until translucent. Add garlic and cook for 1 minute. Add rice, and stir to coat all the grains. Cook for 3 minutes, until you can see the white in the middle of each grain. Add stock, and cook a few minutes, until absorbed. Then add water, salt, pepper, bay leaf. Bring to a light simmer. Cover and cook for 19 minutes, stirring twice. Remove lid carefully, pulling up and not tilting to avoid water from lid going into pot. Stir and cook for five minutes, until thick but still loose. Add cheese, lemon juice, butter, cream, fennel fronds. Stir. Remove from heat and let sit for 5 minutes. Then stir until thick and creamy, but still loose. For relish, preheat oven to 375 degrees F. Toss fennel with olive oil and 1/2 teaspoon salt. Add to a baking sheet and roast for 20 minutes, until caramelized. Remove from oven and toss with remaining ingredients. Taste risotto for salt, and then plate, adding 1/3 cup relish to top of each portion. Leftovers will keep for 3 days in refrigerator. I looove your tips for the easiest-possible risotto! I have found the dunk and go method to be a dream when I don’t feel like following too closely to a recipe. I love the whole presentation! Fabulous! Risotto never scared me, but nothing did when I started cooking some 40 years ago. That fearless approach works sometimes, sometimes not! But risotto really is easy – I’ve even taught kids to make it. And it’s so versatile – as your version proves!